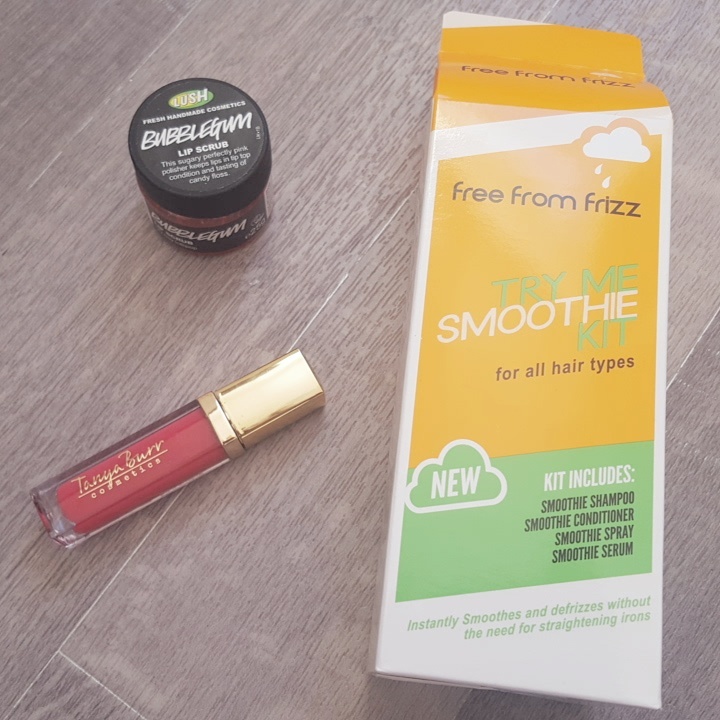 I've had the Free From Frizz Try Me Smoothie Kit for over a month now and although I've not continuously used it over that period of time, I have dipped in and out of using the products inside alongside other shampoo and conditioner. The set is made up of 4 products that are quite small in size and good for taking away in your wash bag for the weekend rather than continuous daily use. Inside is the shampoo, conditioner, serum, and heat protection spray with sizes ranging from 10-60ml. First off let's talk about the scent, it smells so fruity, like a smoothie in a bottle and the scent keeps on giving long after they've been used and the hair drying. My hair can be somewhat unruly at times and I've been on the lookout for something that tames any frizz and leaves my hair with a sleeker and smoother finish and I'd definitely say I've found that in the Free From Frizz range. 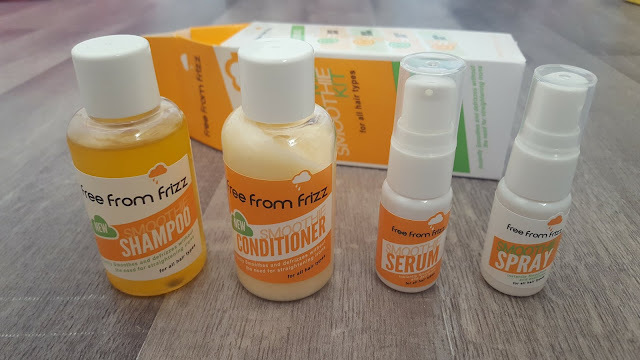 I like to use the shampoo, conditioner, and heat protection spray when doing my Free From Frizz haircare routine and it really works such a treat - I love the final results given and the glossy look. The mini set is £4.99 at Tam Beauty and the bigger versions are also available at £4.99 each. A little on the pricey side, but well worth the price for the results if you want something a little more expensive.